As a newbie watch and Hamilton watch collector finding your blog has been a real God send. You are a very talented man, I truly wish I could do what you are able to do. I have learned a thousand things here on your site reading the many blogs that I have and honestly, I have many more to read and tens of thousands of more things to learn. I appreciate all you do. If I could make one suggestion it would be that as you do each watch you give us newbies the dimensions of it or take a pic next to it of a known object for comparison sake. 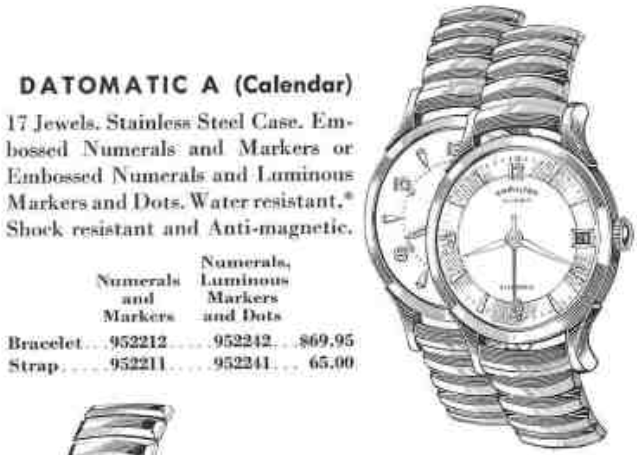 I come to this site for all kinds of info on the watches that catch my eye. As one who finds themselves drawn to the 40's through 60's models, it would be a huge help to me to know the dimension of the models and to realize, oh that model is quite small for my 54 year old eyes. LOL Dan, you have done a wonderful job on this blog, don't get me wrong, with dimensions you would be a one stop shopping for me. Thanks for all you already do and your consideration.